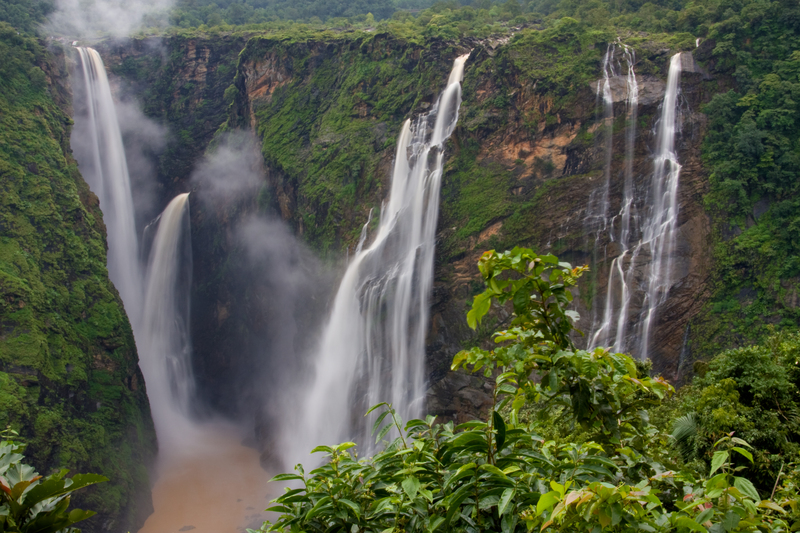 The spectacular Jog Falls located in the Shimoga district of the Karnataka state in India, is the result of the waters of the Sharavati River barreling through a 290 m (960 ft) deep chasm, and plunging down a precipice 253 m (829 ft) in height down into the Gerusoppe Valley. Known variously as the Gerusoppe Falls, Gersoppa Falls and Jogada Gundi, it is the second highest untiered waterfall in the country and the second highest plunge falls after the Nohkalikai Falls in the East Khasi Hills district of Meghalaya, which falls to a depth of 335 m (1100 ft). The falls is located on National Highway 206 which connects Honnavar with Tumkur. In the summer, the waterfall is hardly recognizable as only a couple of streams flow down the face of the cliff. The reason for that is the Linganamakki Dam upstream, across the Sharavati River, which serves the Mahatma Gandhi Power Generating Station. The hydro-electric power generation station generates 1,200 megawatts of power and was the brainchild of the Sir M. Visveswaraya. 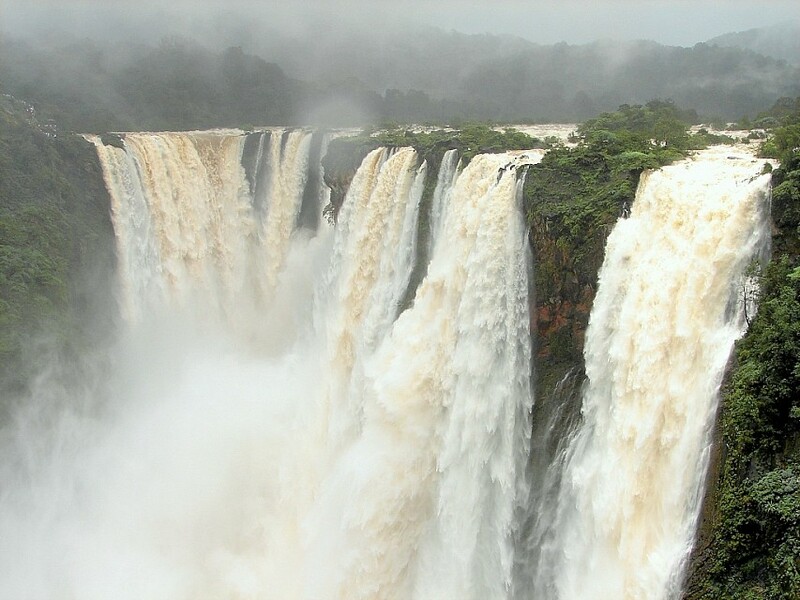 With the onset of the South-West monsoons in the month of June the falls come to life. The surplus water released from the reservoir and the run-off from the surrounding places, downstream of the dam creates a spectacle that has to be seen to be believed. The best time to see the falls is from August to December. The falls consists of four breathtaking cascades. The Raja, Roarer, Rocket and Rani combine in an arc of about half a kilometer to create a breathtaking spectacle. 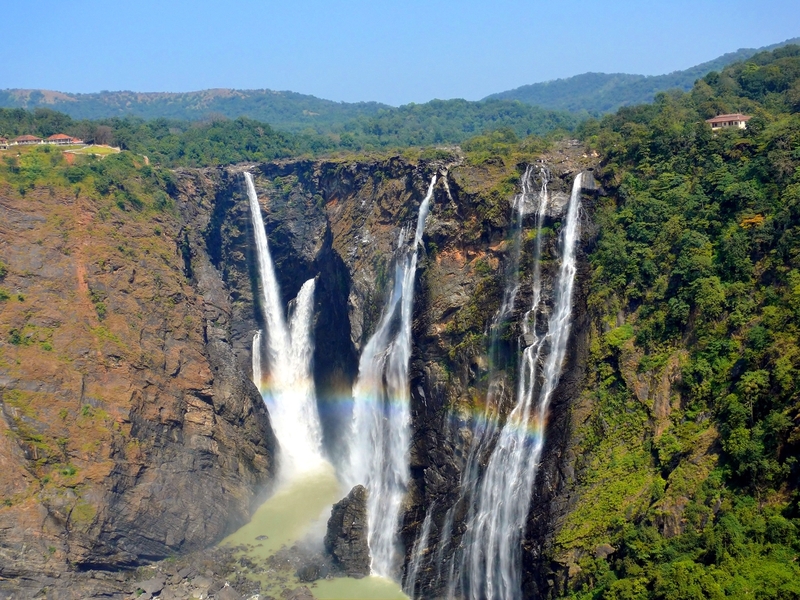 Raja is the biggest of the cascades and is special because it pours all of the 253 m (829 ft) in a sheer drop, the highest in India. Roarer is so named because of the sound it creates when flowing through a chasm, much below the level that Raja cascades from. The velocity that the water generates in the chasm means it meets the waters of the Raja at an angle of 45 degrees. The Roarer is next to Rani and a huge quantity of water passing through a constriction creates a series of jets of water. Rani is more somber and the water cascading down from the fall crashes across the rock face to create a tremendous amount of spray and mist. The falls is best viewed from Watkins Platform and Bombay Bungalow. There are 1,400 steps leading down to the base of the gorge, but the climb down and up again is only for the fittest. Expect to get drenched by the mist and the spray that is generated by the falls. In 2007, due to heavy monsoon rains, the Linganmakki Dam was on the brink of overflowing. 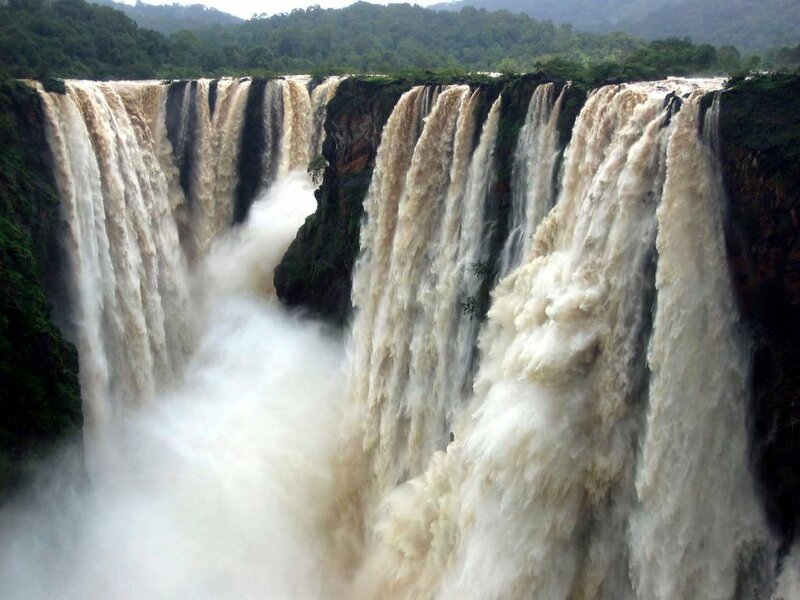 The waters of the dam had to be released and spectators saw the Jog falls in its full splendor. The price however, was that a few villages downstream were flooded and the fishing community distraught. The Sharavati River originates in the heights of the Western Ghats at Ambutirtha, and is joined by the Haridravati and Yenne Hole before plunging down the ravine to the delight of viewers. 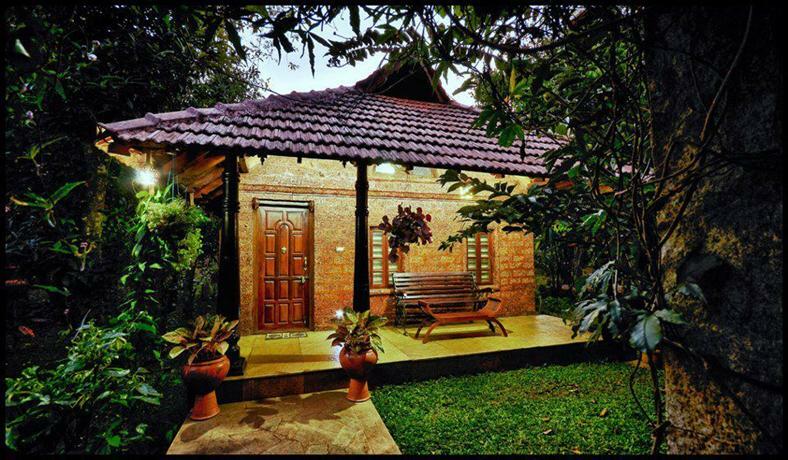 Located in the dense deciduous forests at the foothills of the Western Ghats, the terrain around it is fascinating too. For a botanist, there is a bounty of flora with some species of plants, flowers and orchids that are found nowhere else in the world. The rocky face of the cliffs are good nesting sites for birds, and with the diversity of the Western Ghats, the bird watcher will not be disappointed. For the zoologist, if you are lucky, you might sight the Giant Indian Squirrel with its resplendent flaming orange coat and a busy tail. Bonnet Macaques are in plentiful, but the Black Faced Langurs are more elusive. The area is also ideal for trekking. 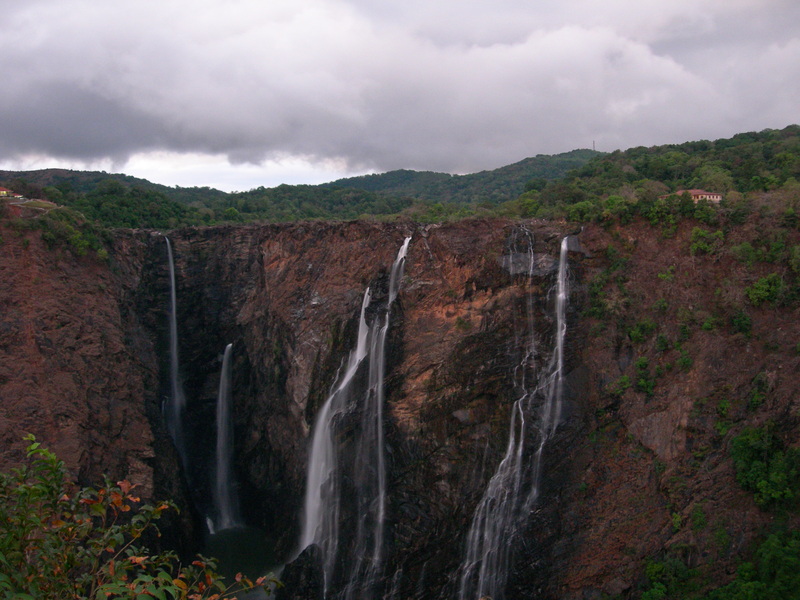 Jog falls is well connected by road both from Bangalore and from the western highway. 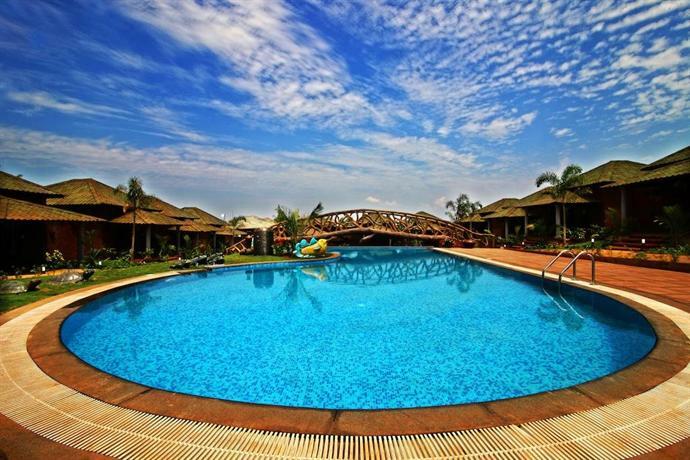 When approaching from Bangalore, the closest big stop to the fall is Sagara which is 19 miles away. 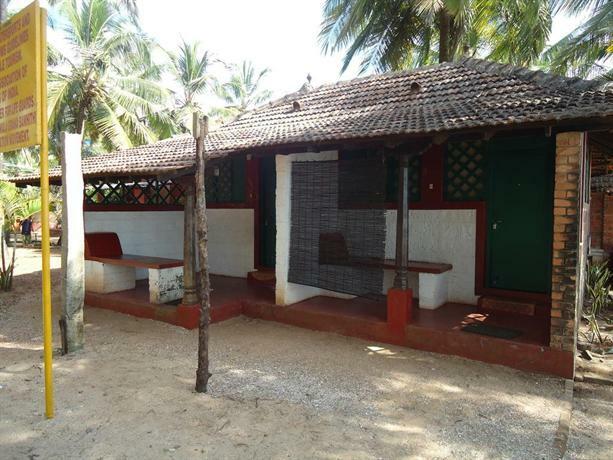 On the Western Highway, Honnavar is the nearest town and is about 25 miles away. KSRTC, the state transport company, conducts regular day tours to the falls. The nearest airport is the Hubli Airport, 81 miles off while Mangalore, 84 miles away is an International Airport. The Dabbe Falls, the Linganamakki Dam, the Tunga Anicut Dam, and the Thyvare Koppa Lion and Tiger reserve are other places of interest in the area. 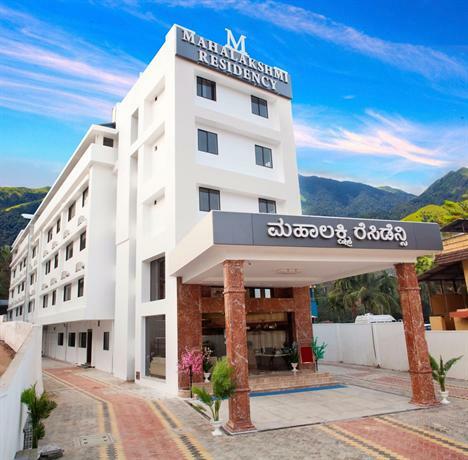 There is basic accommodation at Jog Falls in at the Youth Hostel and the state run KTDC Hotel. 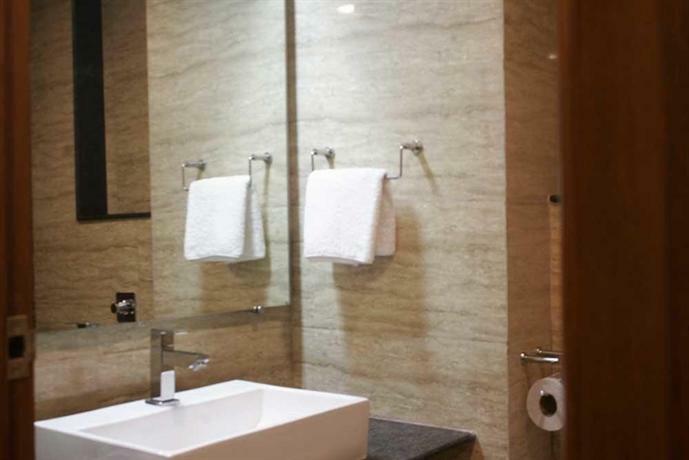 An air-conditioned double bedroom accommodation will cost anywhere between $ 50 USD to $ 60 USD . 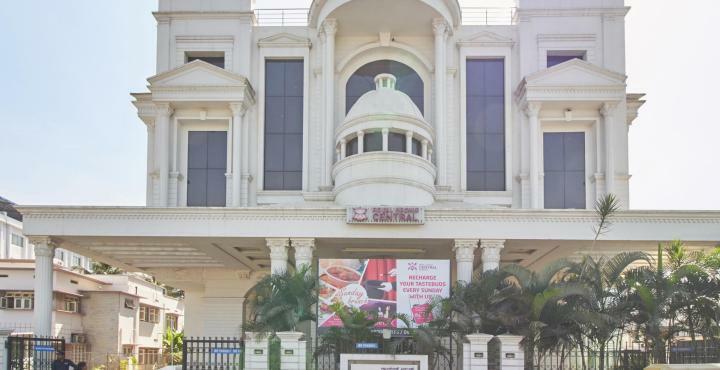 The nearest high end accommodation is at Shimoga, 65 miles away.